Dining room with direct access to patio and hot tub. 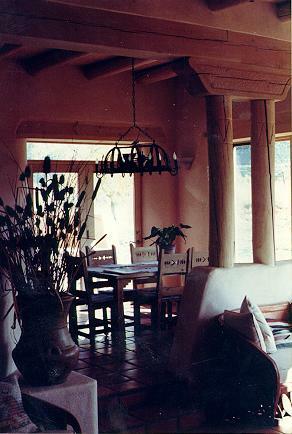 South West style dining set and custom wrought iron Coyote chandelier. 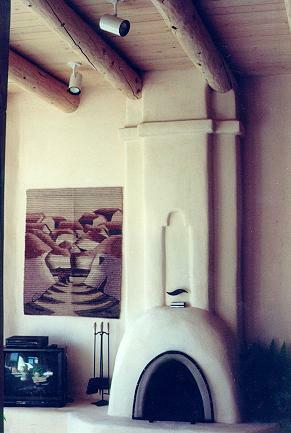 Living room with authentic Kiva fireplace, 11 foot Viga ceilings and Peruvian tapestry. 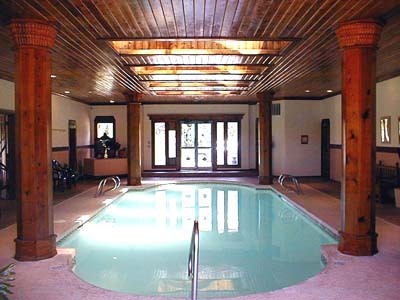 Inside Los Altos Club House with Swimming Pool, Steam Room, Lounge.